The Kanger E-smart Bottom Changeable Coil Clearomizer was designed with the slim and sleek E-smart 320mAh 510 Battery, Gold in mind, but will work great with most other 510 threaded batteries/mods. 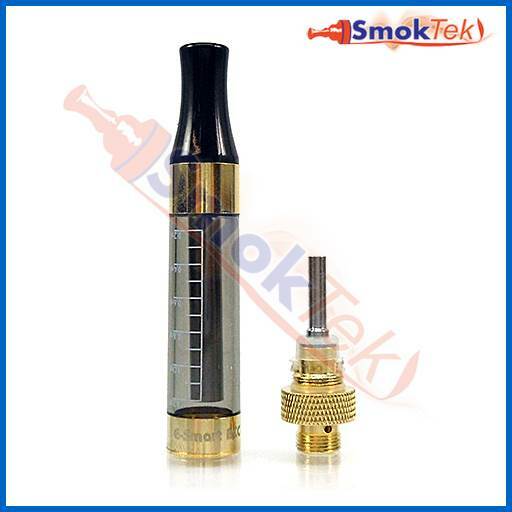 It is a bottom changeable coil clearomizer with 510 threading and holds up to 1.2ml of e-liquid. It comes pre-installed with a 1.8 ohm coil (spare replacement coils are available here). The drip tip is fused onto the clearomizer and is non-removable. The E-smart BCC clearomizer is very easy to fill - simply unscrew the base, tilt the clearomizer to the side and fill with your favorite e-liquid (try not to get any e-iquid in the center tube, that is for air flow)! A needle tip bottle makes the task effortless. Make sure to allow a few minutes for the e-liquid to saturate the coil properly before using. To change the coil, make sure your clearomizer is empty, unscrew the bottom/coil and screw in a new coil. Follow the instructions above to fill and you are ready to vape! Please note: Due to the nature of clearomizers, we can not offer warranty, returns or exchanges except if DOA. Nice form factor, good quality, 510 bottom coil with holes very close to the bottom. Exactly what I was looking for. this thing looked interesting and at 3.95, i figured "why not". I highly recommend these; they hit heavy and have a nice streamlined design. smoktek is a good website. prices are unbeatable. These clearomizers are great! No complaints at all other than I wish the tank was a little bigger, so I don't have to fill it so frequently. I'm glad to help here! 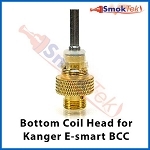 The Kanger E-smart Bottom Changeable Coil Clearomizer is a plastic clearomizer. Q: Would this work with thick oil? Thin oil? Or liquid only? 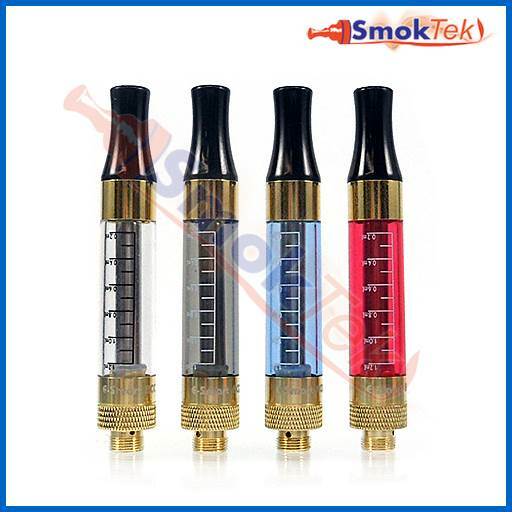 With the E-Smart clearomizer, we recommend a PG/VG ratio range of 70/30-30/70 for optimal performance. Q: Do these come in a package or do you buy just one? Thank you for reaching out to us! The Kanger E-smart Bottom Changeable Coil Clearomizer is priced per unit, but if you purchase them in intervals of five, they will be shipped in the pack. Q: Does this cart have a wick? If so where is it? The Kanger E-Smart Bottom Changeable Coil Clearomizer does have a small wick. If you click on and blow up the second product image, you can see it on the replaceable coil below the insulator. Q: Has Kanger ever changed the design on these to a removable drip tip? I would like to use these with an e-pipe but would prefer to use the 510 stem type drip tip that comes with the pipe.